We have gained a reliable name for making available the finest quality Pearl Millet (Bajra), which is acclaimed for its high nutritive value. Pearl Millets are widely cultivated in various states of India including Karnataka, Andhra Pradesh Gujarat, Uttar Pradesh, Rajasthan and Maharashtra. Pearl Millets are used as a staple food and as an organic cattle fodder. Rich nutrition of Pearl Millet makes the cattle healthy and strong. 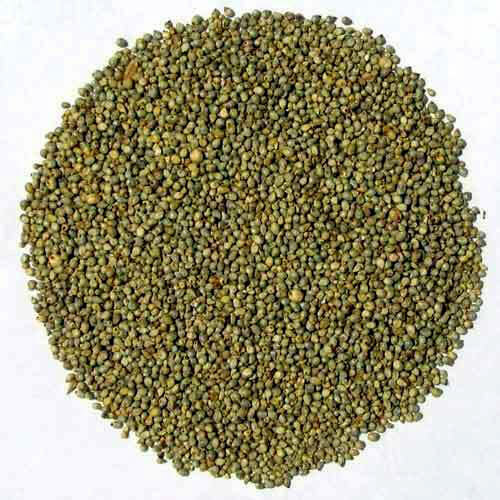 We are engaged in offering Pearl Millets in various standard sized packaging as per the specific needs of the clients.